Had some good food today. 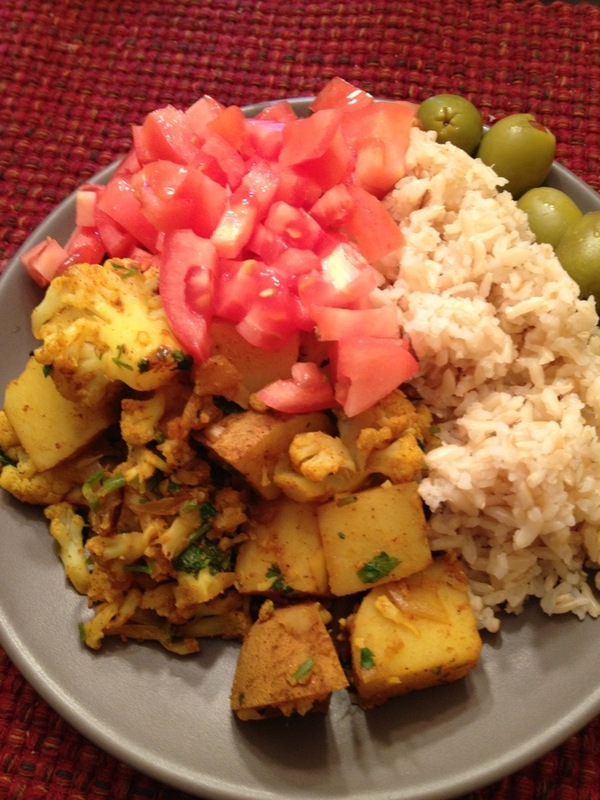 For lunch we had Aloo Gobi, an Indian dish with potatoes, cauliflower, onions, garlic, cilantro and Indian spices such as cumin, turmeric, chili powder and garam masala. This was on brown basmati rice. 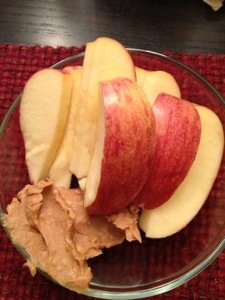 For a sweet treat, we had apples and some peanut butter for dipping. Julianne did day “not too much because it is high in fat.” So, we didn’t have too much. Tonight we finished off the aloo Gobi with some broccoli. It was a good day.